When we talk about the applications of virtual environments, we usually focus on enterprise learning, collaboration, and training. But Canadian researchers are finding more real-world uses for virtual environments -- to help smokers kick the habit. Researchers from Canada's GRAP Occupational Psychology Clinic and the University of Quebec in Gatineau created a virtual environment, where, for 12 weeks, smokers chased down floating cigarettes and crushed them. A control group of smokers crushed floating balls in another virtual environment. 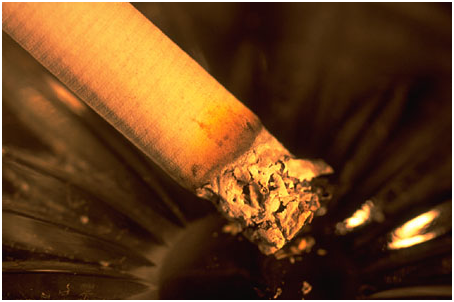 The researchers found a significant reduction in nicotine cravings among smokers in the cigarette-crushing group. After 12 weeks, 15 percent of the cigarette crushers had abstained from smoking, compared to 2 percent in the control group. The researchers couldn't quite explain why the cigarette crushers were more successful. But they believe the virtual exercise might have conditioned them to resist their cravings, motivated them quit, and gave them more confidence they could do it. Interesting finding, especially with today being the Great American Smokeout! You can read more about the study in the CyberPsychology and Behavior journal. I just came across the updated version of the "Did You Know?" video about globalization and the information age that went viral about two years ago. If you haven't seen it, or even if you have, it's worth another look. This might sound sappy, but I'll admit it was the original video that inspired me to look into the virtual world space, and particularly, ProtonMedia. Without it, I might not have found my way here! One of our objectives with our blog is to leverage it as a way to provide our readers with insight into what our developers are working on in their "bat cave," and what might be coming down the pike. We're calling these insights "feature peeks." We'll be rolling out short videos that show you each feature peek as we develop them. As a word of caution, I want to let you know we can't guarantee that everything we show you will make it into the next version of ProtoSphere, the version after that, or even at all. However, if something you see really blows you away, tell us in the comments. And likewise, if you think something is not so great or important, let us know too. We always strive to create our platform with our end users in mind, and if we're not meeting your needs, then we need to know! So, without further ado, here is our first feature peek, Dynamic billboard. It's currently slated for the ProtoSphere 1.4 release. Dynamic billboards let you place text or image-based content onto whiteboards in your ProtoSphere environment. You can also drag and drop images from your desktop to the whiteboards. This allows for persistence of that information. The content is always there until you take it down or swap it out for something else. It also lets you customize your environment on the fly. We're working on developing support for many more file types, including Microsoft Office documents, .pdf's, other image formats like .jpeg, and video. 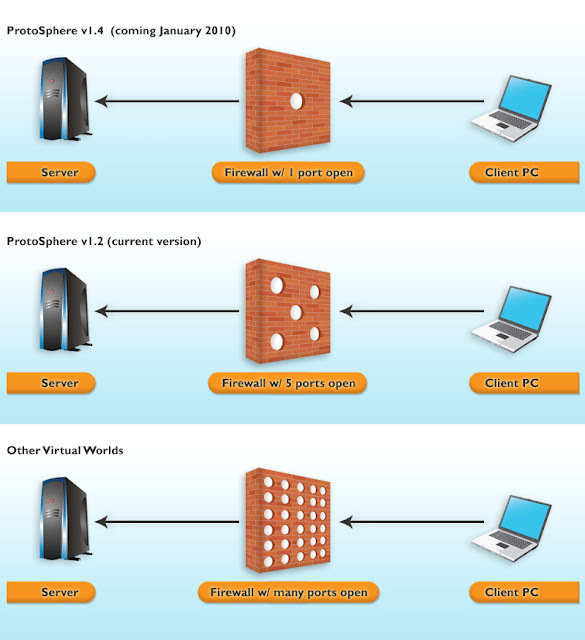 This also opens the window for users to do remote desktop sharing, right in their 3-D space. If you'd rather read our interview with Jayne Nanavaty-Dahl, Manager of Workforce Enablement Communications for IBM, you can check out the transcript. The PDF version of our most recent case study is in. This covers how a global pharmaceutical company used ProtoSphere to build a 3-D social network to significantly improve its onboarding process for new MBA candidates. The company created a consistent, automated onboarding process across all locations worldwide, improved collaboration among candidates by 200 percent, and elimiated 100 percent of travel costs and requirements for candidates, among many other results that they measured and are included in the case study. Feel free to download the PDF, share with coworkers/partners/prospects/customers/etc. If you're looking for just the text, we also posted it earlier. 3D TLC 2009 was just about a couple of months ago, but the information presented is no less relevant. We're digging through our video footage from the show, and we grabbed the keynote presentation by ThinkBalm's Sam and Erica Driver. They discuss barriers to adopting immersive Internet technologies, share their research on the value these technologies hold for the enterprise, and present their recommendations for overcoming barriers to adoption. 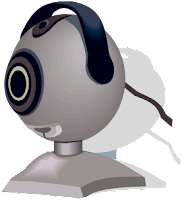 As we talk about human factors here on the blog, I was reminded of a white paper I read that covered the findings of a study on video conferencing. In the study, University of North Carolina researchers identified recommendations for planning and implementing video conferencing to support interaction and collaboration among large groups. One, video conferencing is not the best environment for brainstorming. And two, video conferencing is not the best environment for conflict resolution. Video conferencing tends to be an environment where just one person is comfortable talking at a time. It can be difficult, as the studies find, to share information, bounce ideas off one another, negotiate and bargain, ask questions, resolve disagreements, and make decisions. All of this can obviously hinder collaboration, which takes me back to an argument I've made before on the blog: If you blend live or prerecorded video with other collaboration tools unified by a 3-D infrastructure, video becomes more useful, less complicated, and far less costly. Video conferencing might be justified as an investment for large conference rooms in global businesses, but it fails to address the human and cost factors that have, to date, prevented large-scale video deployments from achieving critical mass in the enterprise. Just wanted to thank Mitch Wagner of InformationWeek and Alex Williams of ReadWriteWeb for including ProtonMedia in their coverage of the Second Life Enterprise announcement. You can click over to read Mitch's take and Alex's take on the news. I'll be heading down to Center City Philadelphia soon to present at the Mid-Atlantic Capital (MAC) Conference as part of the Featured Companies tracks. If you're not familiar with the conference, it's the oldest, most established venture conference in the Northeast. It draws some 1,100 people from the private equity and entrepreneurial communities. For more on my presentation and the conference, I've pasted the press release we issued below. ReadWriteWeb deems ProtoSphere "the most advanced collaboration environment "
On Friday I demoed ProtoSphere to Alex Williams of ReadWriteWeb, and judging by his article, I think it's safe to say Alex was impressed. He writes, "It is the most advanced collaboration environment we have seen in the market. We say this without hesitation." Thanks again, Alex, for taking the demo. See what else Alex had to say about ProtoSphere by clicking over to his article. We have another client on the record. Here's our latest case study detailing a project that a global 500 pharmaceutical company launched with ProtoSphere. We don't have permission (yet) to use their name, so we scrubbed the case study of all identifying elements. Other than that, everything documented here is real and in the customer's own words. We have a nice graphically designed version coming, too, but we wanted to share the data with you now. Once we have permission to use our client's name, we'll post an updated case study here. While we've focused on covering the enterprise side of the 3D TLC show, there were also many exhibitors and attendees there from the consumer gaming industry. One that I spoke to was Floris Jan Cuypers, Senior Business Development Manager for Spil Games. The company is one of the largest online casual gaming networks, with 100 million unique visitors each month. Pay no mind to how I butchered his name in the beginning of our podcast (Sorry Floris!!! I tried to get it right before we started recording, but that didn't help much.). But do listen to how Floris explains what brought him to the show and what he learned from some sessions he attended. Thanks to InfoWorld for picking up the Q&A interview I did with The Industry Standard! When we develop environments in ProtoSphere for clients, we invest a lot of time and creativity to ensure our avatars accurately resemble the people behind them, and properly reflect the corporate culture of the world they inhabit. It's an important human factor that facilitates effective communication in an enterprise virtual world. 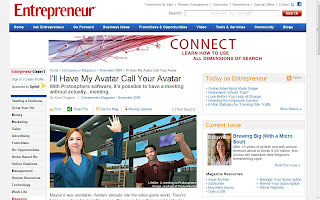 Business journalist Kara Ohngren picked up on this crucial aspect of virtual worlds for business when she covered ProtoSphere in general, and our avatars in particular, in a piece for Entrepreneur Magazine. It's a good read! Last week Ian Lamont of The Industry Standard and I connected to discuss how Windows 7 might change the landscape for virtual meetings, and our Q&A was published today. 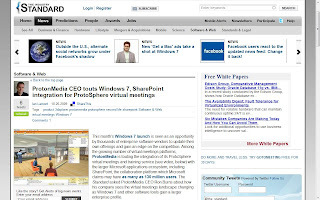 We talked about the opportunties Windows 7 will create for virtual meetings and collaboration, and how ProtoSphere in particular already plays well with Microsoft platforms in the enterprise -- our SharePoint integration, for example. Ian also features a video of basic ProtoSphere navigation in his coverage. Sweet! Some things just can't be ignored. The launch of a new Windows operating system is one of them. Of course, you know that Microsoft officially launched Windows 7 yesterday. The press was looking for some insight on what this means to the enterprise. I shared my thoughts with TechNewsWorld's Erika Morphy yesterday about how the success of Windows 7 will ultimately be measured. Her article provides a great overview of opinions, including my insight. I believe Windows 7 will satisfy pent-up demand among enterprises. That's good news for ISVs selling into an enterprise customer base, who too often encounter C-level executives ready and willing to sign on the dotted line, only to be gated by large legacy installations of ancient OSes (Windows 2000 and older). If 60 percent of all business are, in fact, planning to jump on the Win7 bandwagon, that's great news for ISVs, and for users who will benefit from contemporary solutions such as ProtoSphere. In the view of our developers, there are several compelling aspects of Windows 7. First up is improved performance. It boots up faster, runs apps more quickly, and makes efficient use of multi-core processors. Improvements to Remote Desktop (video & game support) are impressive. RD was previously available as a separate component available in Vista SP2 and XP SP3, but is now integrated with the base platform on day one. Everything else to end-users (and ISVs) is marginal -- nice to have, but not compelling enough to upgrade. For the purists among us, we plan to have ProtoSphere release 1.4 certified for Windows 7. InformationWeek covered a recent study commissioned by Verizon and Cisco (carried out by Frost and Sullivan) that focused on the use and value of "advanced collaboration tools." I wrote my thoughts in a comment on the article, but also wanted to share them here. Quite honestly, I think that Cisco and Verizon (companies I respect greatly, don't get me wrong) are really pushing the envelope in calling VoIP, instant messaging, and high-definition video meetings "advanced collaboration tools." These are commodity technologies that exist all over the country. The study should really include a look at truly advanced collaboration technologies, a.k.a., 3-D immersive collaborative worlds. Tools like ProtoSphere have to be considered in this discussion, especially considering that it integrates all of these "advanced functions" into a single, engaging interface. I have an admitted bias because my company provides this technology, but I'm not the only talking about the power and benefits 3-D immersive worlds can provide. We're doing our own research that shows real business metrics and results from using 3-D immersive environments. The early adopters have not been small players either, but rather, large enterprises in entrenched industries like pharma and energy. It's an interesting study that gets to the core value of collaboration technology -- ROI -- but it is not inclusive enough to paint an accurate picture for enterprises. Nokia's interest in virtual worlds driven by consumer demand? You might have heard that Nokia is looking to invest in gaming and virtual worlds, among a couple other verticals. More details are covered in the Digits blog on WSJ. I found the news interesting. 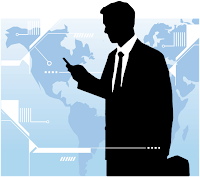 And not because virtual worlds are not essential to unified communications -- they are. Like I wrote in my comment on the article, while Nokia is clearly interested in the wireless/mobile aspects of virtual worlds, I suspect that their interest may be more consumer driven. From our standpoint, virtual worlds provide the most value at the enterprise level, helping businesses with their collaboration problems. With the e-learning industry exploring ways to improve training, retention, and performance, one new approach under consideration is immersive environments. Mark Oehlert talked to Ron about it during the 3D TLC show. Mark is an Innovation Evangelist at the Defense Acquisition University, a U.S. Department of Defense university focused on improving the learning outcomes for over 150,000 acquisition personnel. Marks discusses what's next on the e-learning front, and the need to move to new technologies to improve learning and performance. The mistake will be bolting new learning paradigms onto old technology, instead of thinking about the new technologies available to us. For more from Mark, you can turn to his blog, e-Clippings, and follow him on Twitter @moehlert. In my last post reacting to the Cisco-Tandberg deal, I promised to explain why Cisco's push to bring video to the desktop won't break out of the enterprise's largest conference rooms. Here are several reasons why, all of which arise from the human factors of virtual collaboration. Modern teleworkers don't always dress for success. I'm writing this post, taking calls, and "collaborating virtually" at a time of day when my mind is sharp, but my appearance might not be. Maybe I worked until the wee hours of the morning, caught some sleep, and am now back at it. I might look tired. I might need a shave. I might not be wearing a tie. I might be grabbing breakfast at my desk. I certainly don't want to be on a video conference right now. Of course, if I knew there was a board meeting, I'd be prepared, and telepresence or other live video would be fine with me. But collaboration mostly happens without an appointment, without a formal meeting, often without advance preparation, at all hours of the day and night. The last thing most workers want is to have the red light go on when they least expect it, or when they don't believe they are as presentable, appearance wise, as they want to or should be. Human factors 1, telepresence 0. Can't watch Ron's video interview of Randy Hinrichs at 3D TLC? Read the transcript instead. When it comes to designing a 3-D virtual world for training people, Randy Hinrichs has some pointers on what elements to include. He's Managing Partner of 2b3d, which provides development and consulting services for corporations and educational institutions on how to leverage virtual worlds and social networks. He's also Advisor to Virtual Worlds at the iSchool at the University of Washington. Randy talked to Ron during the 3D TLC Conference about what he thinks are the key aspects to incorporate into a virtual world to create an effective educational experience. Missed anything in Ron's interview with Dr. Eilif Trondsen at 3D TLC? Here's the transcript. Learning and collaboration go hand-in-hand in 3-D virtual worlds. And lately, there's been more hand-locking going on. Eilif Trondsen, Ph.D. talked to Ron about it during the 3D TLC show, video below. 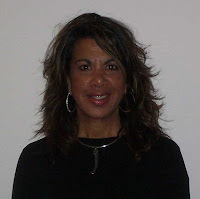 Dr. Trondsen is the Director of Virtual Worlds @ Work at SRI Consulting Business Intelligence. Virtual Worlds @ Work is a global consortium and network of thought leaders and early adopters of virtual worlds. In the interview, Dr. Trondsen discusses how he is seeing learning and collaboration come together in the 3-D virtual worlds space. The industry is moving beyond talking about concepts of 3-D virtual technology, to actually implementing it in the enterprise. And while it's yet to be determined whether we are at the tipping point of mainstream adoption, Dr. Trondsen thinks the industry is strengthening with the growing number of use cases in the books. For more from Dr. Trondsen, you can follow him on Twitter @eiliftrondsen. Next up in the Ron Burns hot seat is Dr. Tony O'Driscoll from Duke University's Fuqua School of Business. Ron talked to him at 3D TLC to get his perspective on what it will take to get the industry "across the chasm." Dr. O'Driscoll presented on this topic during the show, and we'll have that video for you soon. It's also the subject of his new book, "Learning in 3D: Adding a New Dimension to Enterprise Learning and Collaboration," which he co-authored with Karl Kapp. You can read more on his insights and musings on his blog, Learning Matters!. So last week Cisco (NASDAQ: CSCO) announced a definitive agreement to acquire all outstanding shares of Tandberg (OSLO: TAA.OL) for $3.0 billion in cash (that would be 153.5 Norwegian Kroner per share). Company officials positioned Cisco's motivation for the deal as helping Cisco "expand its collaboration portfolio" so the company could "offer more solutions to a greater number of customers," and accelerate market adoption. Let me scrub the public relations spin off of that, translate into plain English, and reveal Cisco's real motivation for this pretty sizable acquisition. Cisco has a problem. Their big push to bring video conferencing to the enterprise hasn't been able to break out of the largest conference rooms within an organization. Nigel and his wife, Melissa, welcomed their first child into the (real) world yesterday at 2:37 a.m. Big congratulations from everyone at Proton and the blog!!!! 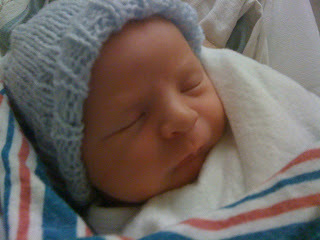 Here's a pic of Hayden Chase Downer. If you'd rather read the podcast interview I did with Evolver CEO Brian Nilles at 3D TLC 2009, here's the transcript. We'll be posting transcripts to all of our podcasts and videos as well. 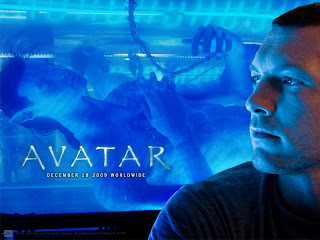 Avatars: How real is too real? Evolver's Brian Nilles replies. Most industry folks would probably tell you that it's important to make avatars look realistic. After all, if you're in world, you have to be able to identify yourself, as well as others. And a realistic-looking avatar helps create a real-world feel and experience. But is there a point where real becomes too real? Like to the point of "you're-really-freakin'-me-out" real? The more official term for this phenomenon is "uncanny valley," and I had to ask Brian Nilles about it when we crossed paths at the 3D TLC Conference. He's the CEO of Evolver, an online portal that lets you create an avatar of yourself which can then be used in a number of 3-D and 2-D settings. The unique aspect of Evolver is how realistic and detailed these avatars look. Hop over to their site to get a glimpse. Obviously, Evolver has built a business around this technology. 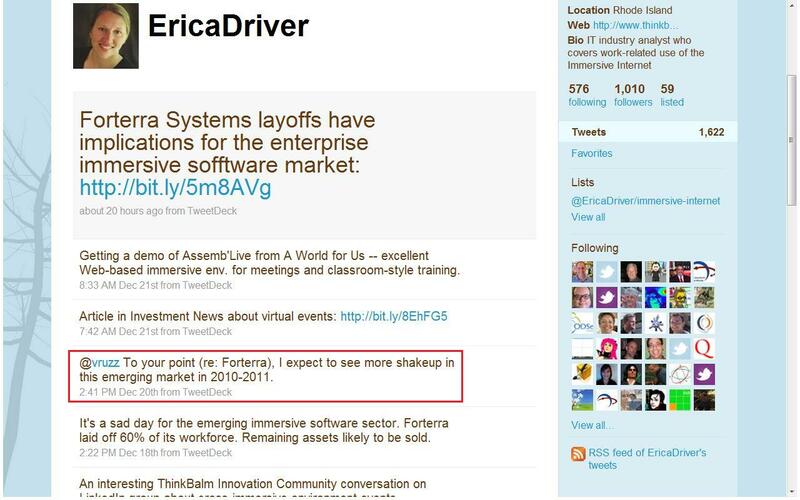 But in my interview with Brian, I ask him if he thinks Evolver avatars are potentially crossing the "creepy" line. We also talk about the latest technology coming out of the company, and how he's been occupying his time at the show. Dom pulled these screen caps from the demo video Ron presented during his address at 3D TLC. You can see how things look in ProtoSphere, including conference rooms, meeting spaces, avatars, and more. For your viewing pleasure, our photos from 3D TLC. All of ProtonMedia's photos, plus screencaps of ProtoSphere, will be stored on the company's Flickr page. Some things never grow old. It's been 18 years since Geoffrey Moore's "Crossing the Chasm" was published, yet his basic premise rings as true today as it did when the book first hit store shelves. Amazon.com's description puts it well: "[Author Geoffrey Moore's] chasm theory describes how high-tech products initially sell well, mainly to a technically literate customer base, but then hit a lull as marketing professionals try to cross the chasm to mainstream buyers." But you can't cross the chasm on marketing factors alone. There are interesting human factors involved. And even if the UC industry meets its marketing challenges, the human factors will, I believe, prevent unified communications from achieving critical mass in the marketplace. The interview was a case of big software vendor vs. little software vendor, but they seemed to be on a level playing field when it came to their thoughts on virtual worlds. Chuck Hamilton, Program Manager of the Learning and New Media Program at IBM, spent a few minutes talking with Ron at 3D TLC about what he's seeing in the virtual worlds industry and the promise the technology holds for the enterprise. Ron also asked Chuck point blank what he thinks of ProtoSphere's integration with Microsoft SharePoint. (But you've got to watch the video to see his answer. I know, sneaky, sneaky. :)) The conversation turned to the topic of human factors in a virtual environment, and the idea of using an avatar vs. video while in world. And if that leaves you hanckering for more, Ron is actually in the midst of working on a post about human factors now, and we'll have that for you on the blog soon. Doug Thompson, blogger for Dusan Writer's Metaverse, took a look at the various feature sets of several 3-D virtual worlds platforms. 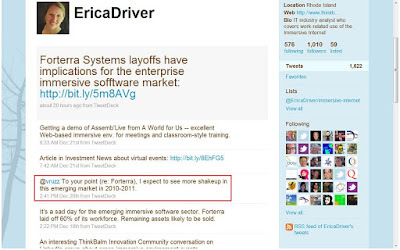 Click over to his post for more on how he sees platforms including ProtoSphere stack up. If you missed anything Erica Driver talked about in her interview with Ron at 3D TLC, you can catch the transcript here. Although Ron and Erica Driver could talk shop for hours (and have -- exhibit A being at one of the lunch tables at 3D TLC ;)), I caught a snippet of their conversations from the show in the video below. Ron and Erica sync up on the latest research out of ThinkBalm, "Crossing the Chasm, One Implementation at a Time," which she and Sam presented during their keynote earlier that day. Now that we're back at our desks in our humble East Coast home, we're going through all of the footage and content we gathered from the 3D TLC Conference in San Jose, and rolling it out on the blog. ProtonMedia's big splash at the show was unveiling ProtoSphere's new SharePoint integration capabilities. So the first item we're posting is that very moment recorded on video. Below is Ron Burns' presentation at the show, which followed Erica and Sam Drivers' keynote (video of that to come). He covered the state of 3-D virtual worlds technology, and what needs to happen to increase enterprise uptake. That includes SharePoint, and, well, I'll let Ron and his honorary guest, Craig Lieboff (Technology Strategist at Microsoft) take it away. A few hours ago, Erica and Sam Driver, Principals of ThinkBalm, wrapped up their presentation here at 3D TLC, where they talked about the biggest barriers preventing immersive environments from reaching early majority adoption. Some of the challenges they cited included security issues, lack of proven metrics and benefits from real case studies, and lack of integration with mainstream enterprise platforms. While Sam and Erica provided recommendations for overcoming these barriers, it was still a rather grim picture of the state of 3-D virtual world technology. But then Ron stepped up to the mic for his presentation, and announced ProtonMedia's big news: ProtoSphere now integrates with Microsoft SharePoint. This is the first time SharePoint services and content have been combined with a 3-D virtual collaboration platform. Although no one knew the details of Sam and Erica's presentation, Ron's news turned out to be a fitting, and uplifting, follow up. The ProtoSphere-SharePoint integration addresses one of Sam and Erica's major adoption barriers. The audience was all ears, and it felt like a collective feeling of relief and hope washed over the room. But if you weren't there, I video taped the entire session, and I'll be posting on the blog shortly. We'll also have demos of the ProtoSphere-SharePoint technology coming out soon too. Just after Ron's presentation, we issued a press release announcing the SharePoint integration. It's pasted below, where you can read more about how the two platforms work together and the value it can bring to the enterprise. And now, it's on to the show floor to talk to some attendees! 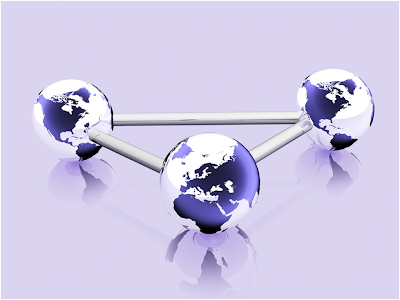 Unified Communications: A Solution in Search of a Problem? I'm driving on the New Jersey Turnpike, in a downpour, heading back to our Lansdale, Pa. offices from a meeting. I'm running the meeting through my mind, analyzing the conversation, and thinking about next steps. It was with a potential client who is interested in virtual worlds as a way to improve the productivity of their teams. During the meeting, one of the guys at the table mentions unified communications (UC), and asks who really needs it? And that got me thinking. Unified communications is almost always presented by vendors and understood by businesses as a technical telephony solution. But there's a real disconnect (no pun intended) between focusing on telephony technology as a means unto itself, as opposed to helping businesses improve collaboration within and between teams--which is the real requirement I see businesses wanting to achieve. Even though we've been writing for ProtonMedia's blog for a little while now, we officially debuted it to the public at the 3D TLC conference. ;) We announced it in a press release today, which I'm pasting below for all interested! I told you yesterday about the case study we did covering a top five global pharmaceutical company's implementation of ProtoSphere. We received the layout from our designer today. Here's the PDF, which you can download, print, and share. UPDATE 3/9/10: We've also designed the PDF into single-page layout, so it's easier to read online. One of the challenges the industry is facing is taking 3D virtual worlds from early adopters to mainstream acceptance. A crucial way we'll do that is through research, studying early adopters' strategies, and identifying core metrics that businesses can use to drive decision making. Some analysts and researchers are doing good work in this area, and we hope to highlight and fund projects like these in the future. But there are also things we can do now. With the exception of making the source anonymous, all of the data is real. I find the results compelling, and I think you will too. If you understand the power virtual worlds can bring to teaming and collaboration, feel free to use this information to spark interest and initiate adoption. We're confident our customer will let us use their name, and we'll post an updated version of the case study soon with those identifying elements included. We also have several other case studies in development, which we'll be posting here as well, so watch this space. If there's one feature of ProtoSphere that always generates excitement during presentations and demos, it's the Media Carousel. The Media Carousel makes it easy for teams to share information, without having to navigate complex folder hierarchies or decipher obtuse file/folder names. Instead, all of the documents a team is working on and which are relevant to their mission are within arm's reach in the 3-D virtual environment. If you've ever pondered the question, "Why 3-D?" (and who hasn't? ), or if you're a 3-D evangelist trying to educate a colleague on the benefits of 3-D worlds for business, hand them a copy of our Media Carousel User Guide. While there's no substitute for experiencing virtual collaboration first hand, I think the User Guide quickly communicates the stark difference between content sharing in the traditional way (files and folders, attachments, screen sharing, etc.) versus with context in a 3-D world. "The desire, and the ability, of an organization to continuously learn from any source, anywhere, and to rapidly convert this learning into action, is its ultimate competitive advantage." That's a quote from GE's former CEO and Chairman, Jack Welch. You might have seen it before, and it was recently brought to my attention when I saw it in this IVCi Newsletter article. I was struck by how succinctly it captured our value proposition. What we offer in ProtoSphere is not about 3D technology. It's about connecting people in a meaningful way and overcoming the challenges of distance and time. For instance, when it comes to learning and training in ProtoSphere, we create environments that emulate the classroom experience. Voice over IP (VoIP), text chat, and video broadcasting facilities let trainers and learners communicate. Built-in blogs and wikis let employees create teams, projects, and workgroups around the business’ activities and challenges. Employees can post documents and files for peer review and modification. The environment is always on so that employees have on-demand access to knowledge, which enables continuous learning. Your competitor might be able copy your product, but they can't copy your people. Tapping into their wisdom and capabilties can be a sustainable competitive advantage. The other week, we wrote about our exhibition at 3D TLC and my speaking engagement at the show. We issued a press release today to "officially" announce the news. Check it out below for more details on what you can expect from us at conference. See you in San Jose! UPDATE: My address is 10 a.m. on the 23rd, not 10:30. As they say, there's always room for improvement. Well, we tweaked our original ProtoSphere demo video to clarify some features and benefits. You can watch the updated version below. If you're unable to watch YouTube videos at your current locale, you can also download a high-res copy from our Web site. 3D TLC, here we come! We'll be packing our bags for San Jose, Calif., in a few weeks where the 3D TLC @ Engage! Expo awaits. The show covers all things virtual worlds, and how businesses can maximize business strategies using them. We're a Gold Sponsor and will be exhibiting ProtoSphere at booth #36. I'm going to enjoy 30 minutes of fame at the show too, when I present right after the opening keynote on the first day. My time slot is 10:30 a.m. on Sept. 23. UPDATE: My address is 10 a.m. If you're able to stop by, you'll be privy to a very exciting announcement from us. And unfortunately, that's all I can say for now. I have to leave you on the edge of your seats because we don't want to spill beans before my presentation! If you can't make it, fret not, because we will be putting a press release on the wire announcing the news. Our blogging team will be on hand covering the show and capturing the sights, sounds, and people of 3D TLC. We'll have podcasts with attendees, video of my presentation and expo floor happenings, pictures and more, direct from the ground. We'll be rolling it all out on the blog in the days following the show. So lots of things going on for us at 3D TLC. If you've registered, see you there! If you haven't registered, you can do so online. The show runs Sept. 23-24 at the San Jose Convention Center. Here's the transcript of the ProtoSphere video demo. We put together a video that walks you through the key features and benefits of ProtoSphere, narrated by yours truly. Hit play to get acquainted. More of our videos are at our YouTube page. We take virtual worlds technology seriously here at Proton, and it's thanks to our people. Some of the best technologists in the industry have helped make ProtoSphere what it is today, and they're committed to making it even better for tomorrow. Now leading that charge, I'm honored to say, is Cheng T. Chen, who's recently joined ProtonMedia as CTO and VP of Engineering. Cheng has been driving force behind the development of major telecom technology for more than 25 years, and will now be bringing his experience, skills, and vision to Proton and ProtoSphere. We issued a press release today to announce the news, which you can read below. Welcome, Cheng! I had the opportunity to present at the PDG Momentum conference 2009 in Philly yesterday. PDG (Performance Development Group) is one of ProtonMedia's partners, and they put on the conference to showcase client success stories and how they've helped organizations solve challenges surrounding training, learning, and performance. I spoke and presented ProtoSphere after keynote Karl Kapp, a well-known consultant, speaker, scholar, and expert on the convergence of learning, technology and business operations. For more on how things went, Karl covered his keynote and the conference on his blog. Keystone Edge interviewed me about our latest financing round. The story is published online for some more insight into what we'll be doing with the funds. The pub also included us in their Growing Companies directory, which you can click to for a quick read on our background and video demo of ProtoSphere. Thanks to Keystone Edge! Can you tell we're growing? ;) We have a new member of our Board of Directors, Ric Andersen, who is Managing Director of Silver Lake. He's the first independent member of our board, and I wanted to say welcome to our team, Ric! Ric has spent 25 years consulting to and working as a senior operating executive within Fortune 500 global enterprises. We're excited to have him with us. If you want to read more about Ric and what he'll be doing for us, scroll down to our press release.